Glass Nation is proud to offer the internet the best selection of glass Sherlock pipes online. Every great detective needs a high quality glass Sherlock pipe just like Sherlock Homles. It doesn’t take a master of deduction to see why people love this modern take on a traditional wooden pipe. 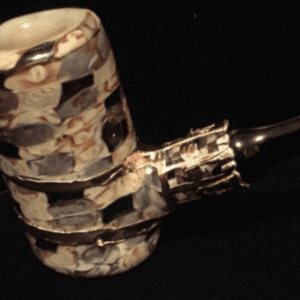 Sherlock pipes are unique compared to a spoon pipe because of its elongated and curved neck. It is similar to the traditional hand pipe in a way because it still has a carburetor and a rounded base to hold the pipe. A good Sherlock Holmes pipe is big and ridiculous looking, just like in the movies. Put your detective hat on and grab your pipe. The game is afoot! You are in the right place to find the most awesome pipe to help with your investigations. You won’t be disappointed. Life is a mystery: go out there and solve it.